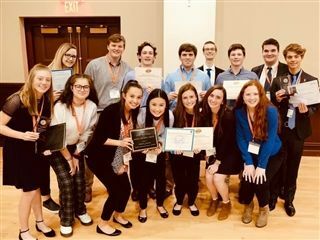 Congratulations to ALL the Cascia Hall State Science fair winners and participants!!! Check out all these awards...the list goes on and on! Way to go! Braden Milford and Luke Wilson were selected to attend the American Junior Academy of Sciences meeting in Seattle, Washington and will have their work officially published.